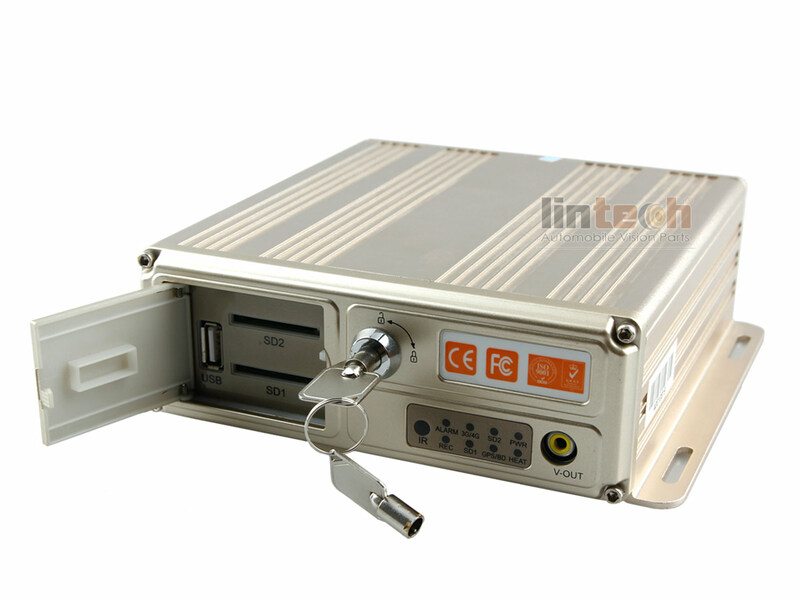 LintechCo: Leading Chinese B2B Mobile DVR System Supplier. DVR-F4 SD Card Mobile DVR is used to monitor and manage all kinds of vehicles, such as city bus, school bus, taxi, police car, truck, train and so on. It is introduced high-intergraded H.264 ASIC for excellent image quality. It can transmit video in real-time, playback video, manage vehicles remotely and analyze center data. 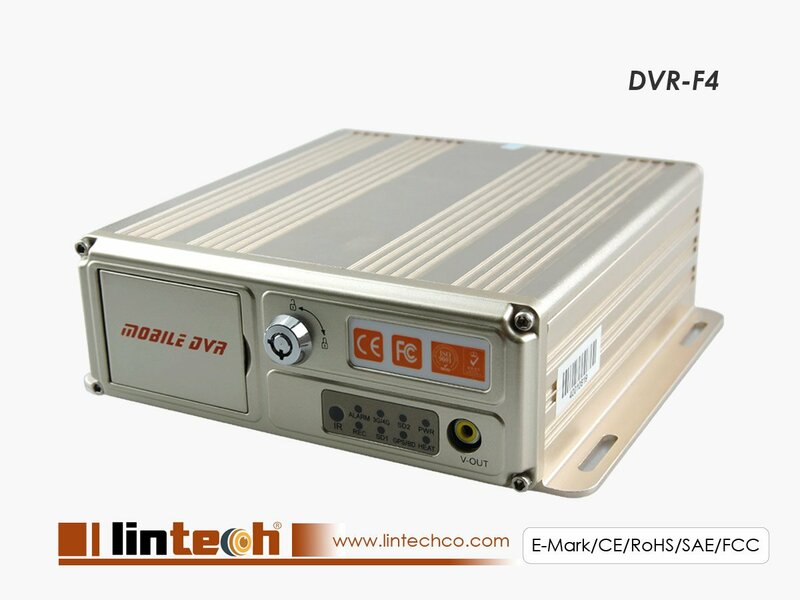 DVR-F4 SD Card Mobile DVR is available for GPS/3G/WIFI module. 3G/WIFI PC client software and playback software will be provided for free,which can see real-time video and playback video with multi-channel. GPS data is tracked by Google map for analyzing ways that vehicle has gone.